Registration has opened for the AV/IT Summit. The event—which will be held April 18 at Globe Life Park in Arlington, TX—is a one-day interactive learning seminar where integrators, tech managers, and architects will come together for spirited debates on the future of installed AV systems. "This event is not a ‘how-to’ technical event, it’s an event focused on relationships, networking, and thought leadership," said Megan A. Dutta, content director, Systems Contractor News. "You will have conversations here that will only happen here, and leave with knowledge and insights that are unique—not to be found anywhere else. " In previous years, the AV/IT Summit by AV Technology Magazine and the SCN Think Tank by Systems Contractor News were co-located. After recognizing that the challenges the audiences faced were the same, the decision was made to have one educational track for integrators and end users alike. "As the professional AV industry continues to evolve, the AV/IT Summit provides a place for all parts of the ecosystem to come together in an intimate setting to discuss how best to work together and enable each other to succeed while enhancing efficiencies across the board," added Matt Pruznick, content director, AV Technology. 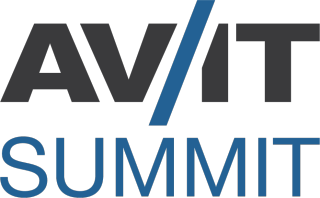 To learn more or to register, visit avitsummit.com.